Features to make your pool uniquely your own! 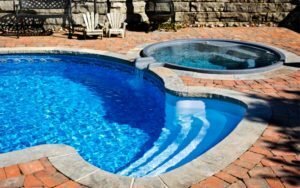 We’ll sit down with you and discuss which features are most important to you in a pool to create the custom pool of your dreams. We offer everything from pool remodeling to backyard design, so you can create the outdoor oasis you’ve always dreamed about. Read more about creating your dream backyard. We are a designer and creator of luxurious swimming pools in the Mooresville, NC area. 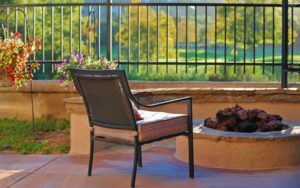 We can create outdoor kitchens, fire pits, custom swimming pools, and much more to make your Mooresville, NC backyard just like a luxury resort! Are You Ready To Turn Your Backyard Into Something Great? A beautiful backyard will benefit you and your family for many years to come. If you’re tired of looking out the window to a backyard that is bland and relatively standard, let us at Lake Norman Signature Pools & Patios help you come up with a functional and stunning backyard design plan. 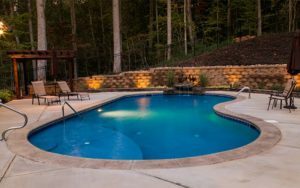 While we are mainly known throughout the Mooresville, North Carolina area for the luxurious pools we create, we can also do many other things for your backyard. Do you spend your summers in the Mooresville, North Carolina area envying the pools in your neighbors’ backyards instead of lounging in a backyard oasis of your own? Instead of spending this summer and the summers that follow being jealous, let us at Lake Norman Signature Pools & Patios create a swimming pool in your backyard that competes with the finest resorts. 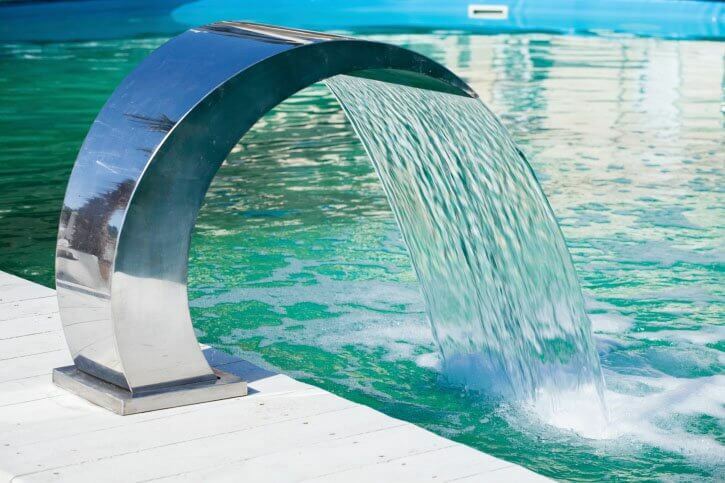 If you want a pool with a waterfall feature or a slide for your kids to play on when it gets hot, we can do it. Our goal as a company is to turn your dream pool into a reality, right in the comfort of your own backyard. If you have any questions about our services, or if you would like to request an estimate, please don’t hesitate to contact us.